In Kurt Lelands's book "Otherwear", he says there is a region in the non-physical reserved for people who are dreaming. He calls it the Dream Zone. Just as there is a region for people who have just died. He calls that the After Death zone. So I have a couple of questions about this. 1. There are billions of people dreaming at the same time, how are our dreams in the dream zone kept separate? 2. I have heard of people having shared dreams. Is this rare, or are most of our dreams overlapping with other people's dreams? 3. How do the gatekeepers or whatever you want to call them, keep billions of dreamers in the dream zone? That doesn't seem like an easy task. 1- This is thinking from too much of a Physical perspective. There is no Time, no Space...these are PR concepts/constructs that we accept as part of functioning within a Physical Reality. Dreams apparently take up no 'room' to speak of. Part of our challenge as Humans wanting to learn more about Non-Physical Reality is remembering to drop the PR perspective and be open to something else. 2- I'm not sure of all the characteristics relating to shared dreams. I've had a few, but they were more like 'experiences', something better than dreams. Maybe it relates to sharing an agreed-upon frequency or an Intent? Without either of these pre-agreed components, a seemingly coincidental shared exp would certainly point towards outside influences, and imo something important. 3- "Keeping billions of dreamers in the Dream Zone." Geez, that would be like herding a billion cats...I think that is also too Physical a way of looking at it. I am still not sure on this but there do appear to be clear lines of demarcation within this part of the NP. Just how they maintain barriers or divisions, I simply do not know, but the barriers seem to be there. One rule appears to be that, until you display a certain degree of emotional control, they keep you within the Dream Zone until you can progress through various tests. Another rule may be that certain areas are restricted unless you express a true desire and need to know something. In my case, this was an expressed desire to visit and check in on my recently deceased father. I didn't accomplish the trip myself; I was clearly 'escorted' to see him and the experience was short and rather 'foggy'...but I was thankful for the experience; and I got a first look at who may be my personal Guide. He has continued to show up from time to time. Just in the last few years, I am coming to a point where I am recognizing a kind of geographical or navigational relationship between the various areas of the Personal Dream Zone, the Training Zones and the Afterlife Zone...I haven't yet recognized Leland's Alternate 'Is' or 'Will Be' Zones, but some of his training and simulation exercises are spot-on, exactly what I have experienced. My Fieldtrip experience was exactly what he described as being placed within an alien consciousness to experience aspects of his life. That is supposed to be followed eventually by placement within a human's mind, which is perfectly described by Astral Zombie within that same story (haven't done it myself, as far as I remember). Leland further describes being placed within the mind of a great human creative mind- a composer, an artist, etc...haven't had that exp yet either. In my Talking to the Hand experience, this perfectly parallels Leland's description of the Initiation exercise that demonstrates mastery of the 10 Dream Levels. I only realized that some six months later. So for me, Leland is perfectly describing the road ahead, at least for this moment in time...in PR, Lol. I am a huge fan of Leland and I hope you are enjoying Otherwhere. If you like that book, then Multidimensional Human will help you in immeasurable ways with your continuing experiences. 2) I've had shared dreams with many people. I often see people I know in certain places in the NP. These are generally a step up from dreams though as often they are doing their thing while I am doing mine. Sometimes there'll be a hand wave from across the room. It's gotten so I'm not surprised when someone says "hey, I dreamed about you". I know, I was there. 3) I don't see dreams as taking up space at all. Other than that I have no idea how they monitor this process at all. This is my second time reading Otherwhere and I like it a lot better this time around. In fact, it's the best book I've ever read on astral projection. 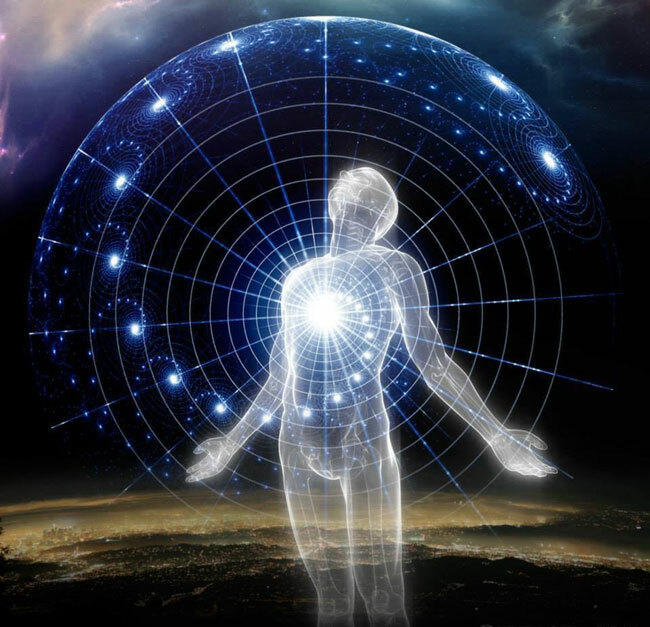 In his book, he does mention that the after death zone is made up of different frequencies like television channels and that depending upon what your religious beliefs were in life that will determine what region or frequency you end up in. So it sounds like all possibilities exist in the same space just overlapping in different frequencies. Perhaps it's the same in the dream zone and in all the zones. But if everybody who is dreaming is dreaming on a separate frequency, that sure is a lot of frequencies. Sounds kind of impossible really. I recently finished a several-day, group exercise that taught me a significant idea: that despite the fact that all twenty of us were all ‘seekers’ within a common NP context, we were twenty people approaching the subject from differing perspectives, different enough that our individual interpretations of each shared experience was still somehow different and debateable...we still had room to agree and disagree on certain aspects. Through a series of specific sessions, many of us came away with differing experiences, and somewhat differing conclusions. It’s still too physical a thought to think that billions of human thoughts/dreaming are taking up too much frequency...it apparently isn’t a problem. The beauty of it is that it’s all allowed. I really enjoy Leland. MDH takes it to the next level. Ask 5 "Wise Men" the same question and you will get 5 wise answers, likely all different ones though! I loved the book and a lot of things that Leland put out. He has an amazing ability to record his dreams and lucid adventures and so bring them back into written form. There is no limitation of space in the nonphysical because it is not space. Even in the physical, time and space are apparently illusions, but yet it is still our experience that there is space. We experience it in the physical and in the non-physical, so it would be nice if there was an explanation that fit our experience. In Lelands book he mentions that some of these NP places have been created by the people that have been going there and that the creation has so much power behind it from the combined minds that made it that it will still be there in a million years even if nobody feeds it by going there. I think the Egyptian area he went to was one of those places. It's still there even though very few go there anymore. So it's not like these places are thought up one second and then dissipate back into nothingness as as you leave. I assume some of our dreams are like that. But these places sound solid like physical reality. And in our physical reality construct things take up space. Btw, who or what is MDH? MDH is The Multidimensional Human, another great book by Leland and a follow-up to Otherwhere. Highly recommended.